This book - along with it's companion 'Gateway To The Moon' are the definite account of the mammoth undertaking that was the establishment of Kennedy Space Centre in the 1960's. Everything about KSC and it's environs is on an epic scale, and these scholarly but very readable works bring to life the day to day management decisions, tensions, inter-center conflicts and eventual unanimity that was a hallmark of NASA in it's greatest era of expansion. Moon Launch! 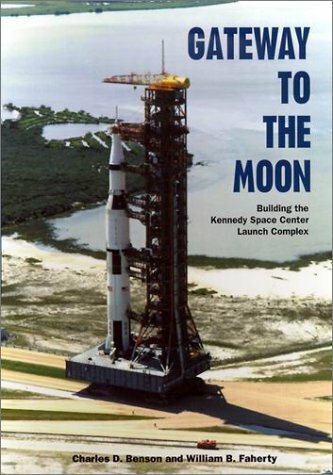 Is a sister book to "Gateway to the Moon" (GTTM) GTTM is an excellent history of the development of the space center launch complex, while "Moon Launch" is a great history of the development of the Saturn V rocket. The book details the development of the crawler, the launch complexes, and the Saturn V.Details of each Saturn flight are explained, including manned and unmanned flights.I found the countdown charts particularly interesting because they highlight the complexity of assembling, preparing, and launching the Saturn V rocket. 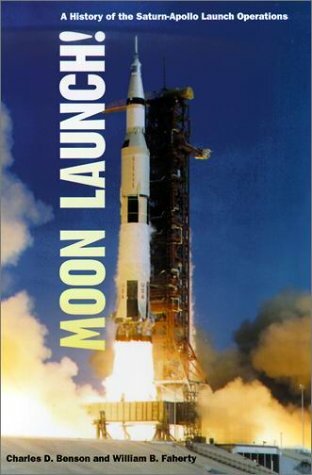 Today, we take for granted man went to the moon.This book explains the incredible details that had to be accurately addressed just to assemble and launch the rocket. Another must-have book for the library of an armchair astronaut. In 1978 Charles D. Benson and William Barnaby Faherty published "Moonport: A History of Apollo Launch Facilities and Operations" as NASA Special Publication-4204. It was an outstanding history of the design and construction of the lunar launch facilities at Kennedy Space Center. Of "Moonport," a reviewer in the "Journal of American History" said in 1979, "The authors had access to official documents, letters, and memoranda, and they have apparently consulted all the relevant historical, technological, and scientific secondary materials...all the involved historians obviously spent con-siderable time studying and intellectually digesting technical reports and manuals in order to give their lay readers such lucid accounts of highly complex procedures and operations...it is important to public knowledge to have professionally trained his-torians employ historical methods to ex-plain significant events and place them in a meaningful historical context. Here is a broad lesson...that contemporary society can ill afford to ignore." "Moonport" has been out of print for many years, and comanding a high price on the second-hand book market, but now it has been reprinted in a convenient paperback version. "Moon Launch!" contains the second half of the text of "Moonport," chapters 15-24, and the appendices, of the earlier work. For anyone interested in the race to the Moon, this book is a must read! First published as part of the NASA History Series under the title "Moonport", the University of Florida Press very wisely decided to split the book into two easier to read volumes.The first volume primarily tells the story of how Florida swamp land was turned into the world's most sophisicated launch centre.The second volume which will suit the more casual reader goes into detail about the Missions themselves with an extensive chapter on the Apollo 1 fire, a subject which NASA is still touchy about.All the Apollo missions are described and looking back in perspective, I am dismayed that it is nearly thirty years since men last walked on the Moon. There is a missing chapter in the history of astronomy—between the work of Galileo and Newton—and it is a chapter that belongs to England. In the period before the English Civil War, Horrocks was the greatest astronomer in the kingdom. He knew the positions and motions of the planets more accurately than any person of his time, and was the first to appreciate the true scale of the solar system and formulate a valid theory for the wanderings of the moon. Yet he was not an elderly grey-bearded sage, but a young man living in provincial obscurity, who on his death had barely come of age but who left a great scientific legacy. The accomplishments of Jeremiah Horrocks, as depicted in this book, are truly astounding. The author carefully reconstructs Horrocks' genealogy, his brief life and his ground-breaking work in astronomy, amidst the backdrop of seventeenth century England. The book is well-written, clear and engaging. Less appealing to me was that the book contains many passages reproduced in the original old English. This slowed me down a bit since I found them cumbersome due to the different spelling and sentence structure characteristic of the period. On the other hand, this may be inevitable, at least to some degree, because of the book's subject matter. 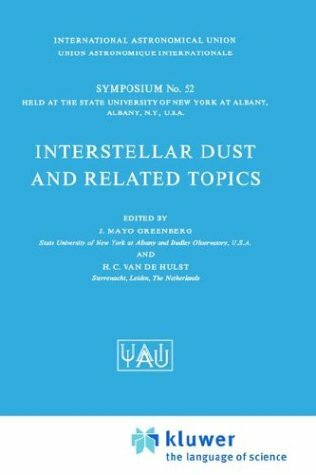 Overall, this is an interesting read that would likely be particularly appealing to astronomers at all levels. Lost in Civl War of England, but Rediscovered. Since the dawn of history, every civilization has seen men who studied the skies.In Europe and Asia, astronomers existed in Babylon, Egypt, India and China.In America, the Incas and Aztecs built pyramids and temples which showed knowledge and fascination with the sun, moon, and stars in the night sky.England had Stonehenge. life; there has been only one other biography to surface, published in 1859 by A. B. Whatton.Photographs show the area and places he lived as he moved about.Born in May, 1618, he was only fourteen years old when he entered Cambridge on July 5, 1632.Just seven years later (1639), he was knowledgeable about the solar system and his observation of the primitive set-up he used in Carr House to view a rare celestial event, the "transit of Venus" was documented.It is similar to the way we are encouraged to watch the eclipse of the sun so as not to be blinded by the strong rays.He died in 1641. The Royal Greenwith Observatory was founded in 1675; John Flamsteed was appointed as the first Astronomer Royal.However, Jeremiah Horrock is known as the "Father of British Astronomy.This book was released to coincide with the June, 2004, viewing of Venus moving across the face of the sun (for only the fifth time since the 1639 occurrence: about every 73 years or so). My son Geoffrey earned his PhD in Astronomy at the University of Chicago and learned how to handle the monster telescopes at Kitt Peak as a grad student way out there in Arizona. Peter Aughton has written ENDEAVOR, RESOLUTION, and NEWTON'S APPLE.He teaches at the University of the West of England and a Fellow of the Institute for Math.In 1970s he was involved with the Concorde supersonic airliner.He certainly knows his astronomy from primitive times. Isaac Newton famously said, "If I have seen further than others before me, it is because I have stood on the shoulders of giants. "Newton was not always so quick to acknowledge his debt to his fellow scientists, but everyone knows the remark could apply to indisputable giants like Galileo and Kepler.However, he also would have meant a giant who has, almost three centuries later, become almost an unknown within the history of astronomy.In _The Transit of Venus: The Brief, Brilliant Life of Jeremiah Horrocks, Father of British Astronomy_ (Weidenfeld & Nicolson), Peter Aughton, who has written before on the voyages of Captain Cook and on Newton, puts Horrocks into his rightful place.It would be too much to say that he gives us a full picture of Horrocks and his work, for the mass of materials about the astronomer is just too meager.However, Horrocks was a brilliant astronomical observer and theoretician, and Newton knew it then as we should now. 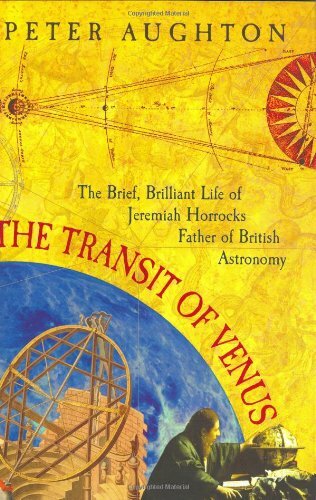 There was in June 2004 a transit of Venus, only the fifth since Horrocks watched his in 1639.A transit occurs when Venus seems to cross the face of the Sun, and was important in those days because it could be used to calculate how far the Sun was from the Earth.He studied Kepler's work at college in Cambridge, and trusted Kepler, but not blindly; he discovered that Kepler, who had correctly predicted a 1631 transit of Venus, had mistakenly missed a transit that was coming in 1639.Horrocks only realized this with a month to spare, but he was ready to trace the planet crossing the Sun; he did so by training his telescope on the Sun and projecting the picture upon a screen within a darkened room.It was his mathematical analysis of the movements and timing of what he had seen that enabled him to confirm that Venus was moving in an elliptical orbit around the Sun, just as Kepler's laws had implied.However, a clear view of the planet crossing the solar disk showed it to be much smaller than Kepler had thought, and the calculated distance between the Earth and the Sun was far larger than any previous astronomer had come close to considering.Copernicus had estimated the distance to be 7.5 million kilometers, Kepler 22.1, and Horrocks weighed in with 95.4.Even then, he was well below the real figure of 149, but it can be said without exaggeration that he was the first man who had an inkling of how big the solar system really was. Horrocks wrote up his account of the transit, and also went on to show that the Moon tracked an elliptical, not circular, path around the Earth, although the path of the Moon wobbled irregularly due to the gravity of the Sun.He also showed that Saturn and Jupiter were vastly larger than the Earth.Astonishingly, he made these discoveries when he was only twenty-two; only a year later in 1641 he was dead.There is no evidence about the cause of his death.His account of his researches was not published until 1662, and he was belatedly recognized as a genius by the new Royal Society.His work was revolutionary at the time he did it, but was not as influential as it could have been, if he had been within the mainstream of British science rather than observing and theorizing near Liverpool, if he had lived longer, and if Britain were not torn by its Civil War.Newton, in his monumental _Principia_, gave special credit to Horrocks for divining the elliptical orbit of the Moon.His influence might be small, but his importance as an observer and as a theoretician (those qualities are not often so well combined in one person) is clear.As much as can be known about him is in Aughton's necessarily brief but admiring review, from which readers will get a good idea of how astronomy was done at the time, and a welcome introduction to an original thinker. Without question "Aiming for the Stars" is an eloquent explanation of the significance of theorists, innovators, scientists, and engineers in the twentieth century who tried to translate their visions of space exploration--although only partly successfully--into reality. This book is focused on great men (they were virtually all males) and their development of great technology. Tom D. Crouch's book is one of the most successful syntheses in the traditional style of space history. This is the kind of synthesis that only a senior scholar with a deep mastery of the subject can carry off, and Crouch does not disappoint. I should add that Tom Crouch is good friend who has made a career out of writing the history of flight, and this book demonstrates well his considerable prowess. "Aiming for the Stars" concentrates on the advocates of spaceflight and how they sold their dreams to the world. Crouch starts with such icons of the spaceflight community, the Russian Konstantin Tsiolkovskiy, the German (actually Transylvanian) Hermann Oberth, and the American Robert Goddard. From there he explores the rise of various rocket societies and spaceflight groups in Germany, Great Britain, and the United States and their pre-World War II activities. These groups excited the public and kept the spark of a vision of spaceflight alive during the Great Depression. Crouch progresses chronologically, in the process narrating the development of space exploration through the latter part of the twentieth century. This is an enjoyable book that presents a fine introduction to the history of spaceflight. It is not a detailed scholarly work, but it is a very fine synthesis of the personalities who made spaceflight a reality, Enjoy! 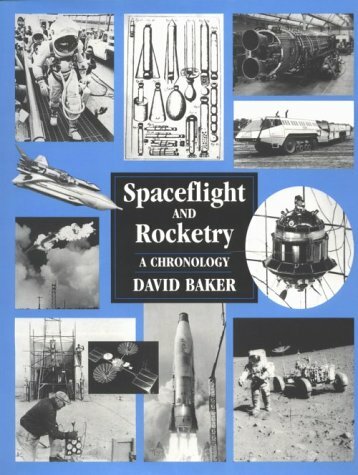 This well written book about the space age provides an excellent summary of the space program to date and people and leaders who made it happen.About half of the book covers the early space pioneers, like Von Braun, Oberth, Goddard and Tsoilkovsky and the early attempts to build a working rocket.The second half covers the early space program, the Apollo missions to the Moon, and eventually moves into the modern era.There are also plenty of chapters about the Russian space program and various robotic explorations of the planets. While most of the information presented in this book can be found in greater detail in other books, this book would be a nice addition to any collection of space flight or for the novice space flight reader who wants to learn a great deal about the space program. A superb history of space exploration to date. Aiming For The Stars: The Dreamers And Doers Of The Space Age explores the motivations, goals, trials, and triumphs of the people who pioneered the long road to space exploration. Author and senior curator of aeronautics atthe Smithsonian's National Air and Space Museum Tom Couch traces the ideaof space exploration back to the sixteenth century and describes itsemergence from the pages of science fiction into the laboratories of early20th Century American, Russian, and German rocketeers. Liking individualobsessions and achievements with the political events and social currentsthat surrounded them, Aiming For The Stars offers a wide-ranging,informative, authoritative and "reader friendly" presentation ofthe eventually successful attempt to reach and explore beyond the Earth. If you want a one-stop introduction to the history of manned space flight, this is a great place to get it. Tom Crouch is an established historian of aviation, and it shows in his assured blending of narrative, biography, and political background. The astronauts themselves get their due, but so do the designers, engineers, and technocrats who put them into space. The selection of topics is judicious, though it favors pre-1960 material at the expense (especially) of post-1980 material. The illustrations are well-chosen and numerous, without overwhelming the text. In the dramatic tradition of the best-selling Longitude, Parallax charts the historical path of observational astronomy’s most daunting challenge: measuring the distance to a star. The greatest scientific minds applied themselves in vain to the problem across the millennia, beginning with the ancient Greeks. Not until the nineteenth century would three astronomers, armed with the best telescopes of the age, race to conquer this astronomical Everest—their contest ending in a virtual dead heat. Against a sweeping backdrop filled with kidnappings, dramatic rescue, swordplay, madness, and bitter rivalry, Alan Hirshfeld brings to life the heroes of this remarkable story.Meet the destitute boy plucked from a collapsed building who becomes the greatest telescope maker the world has ever seen; the hot-tempered Dane whose nose is lopped off in a duel over mathematics; the merchant’s apprentice forced to choose between the lure of money and his passion for astronomy; and the musician who astounds the world by discovering a new planet from his own backyard. Generously illustrated with diagrams, period engravings, and paintings, Parallax is an unforgettable tale that illuminates the distinctly human side of science. This book did not seem that promising to me except for the reviews. I was going to give it four stars, but that would not have been entirely honest. The book has some faults, but the parts I enjoyed, I enjoyed to the point I rarely do. The amazing story about the astronomer Bradley (whom I had never heard of) incidentally determining the speed of light by a method too delicious to resist, simultaneously demonstrating the motion of the earth, while confirming that parallax was too tiny to be measured by that telescope, is worth the reading of the book in itself. Some authors just have it when they are on. I don't mean the book, although it's very enjoyable. I mean the measurement of stars' parallax itself. As Hirshfeld describes it, the achievement required nearly every advance in scientific thinking and instrument-making developed over 2000 years or more. It also required lifetimes of dedication by some of the most magnificent nerds in all of recorded history. Hirshfeld's telling spans sixteen chapters. Each one describes one advance in scientific thinking, or one scientific thinker. The story starts with checkered history of heliocentric world - an idea that was persecuted for centuries, sometimes at the hands of the scientists whose results gave it the greatest support. Next come a series of fantastic, often fanatic minds. Some, like Tycho Brahe or Galileo, find easy recognition among educated people. Others, like Bessel and Fraunhofer, might ring bells, but I would never have known of their astronomical interests except through this book. Yet others, like James Bradley, were totally unfamiliar to me until I read about their amazing dedication. 'Dedication' is hardly the word for some frame of mind so finely focussed on on task, to the exclusion of all others, for decades at a time. Fraunhofer, for example, discovered the spectral lines in the sun's light. Fraunhofer's main interest in this discovery was that each line held an exact, reliable place in the color spectrum. For the first time ever, Fraunhofer lines offered a quantitative way to specify color: not just "yellow," for example, but "the sodium D line." As an optical instrument maker, this let him describe and eliminate color-based problems that had plagued all other refractive optics to date. He left it to others to use the same techniques to analyze the chemical composition of the sun and distant stars. Hirshfeld does several incredible jobs for this book. One is that he turns a centuries-long thread into an enjoyable tale. Another is that he helps even non-technical readers appreciate what "parallax" is and why it matters. Yet another is that he puts human faces to seemingly super-human achievements of measurement and science. I recommed this to anyone who care about how science at its best is done - and why. I caught the astronomy bug and found this aspect of research extremely interesting. Known to the ancients, parallax required scientific instrumentaion to catch up with asperations to finally solve a a very difficult question/problem. And with most research, all the extra info that was discovered along the way. Great read. Parallax is a marvellous book that will interest almost anyone who likes to read popular science and popular astronomy. It is an example of a new genre of science writing: writing a biography of a scientific puzzle that had a long life. In this case the puzzle is to find small changes in the positions of stars, due to the Earth's annual motion round the Sun. In learning about this, we find unexpected discoveries, such as the aberration of starlight. Alan Hirshfeld, a professor of physics at the University of Massachusetts, tells the story at a rattling good pace. All the science you need to grasp is explained clearly. The book truly captures the adventuresome spirit of the astronomers involved. 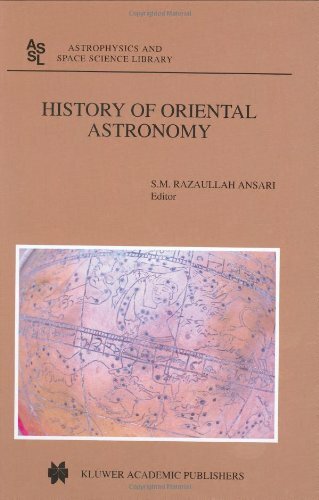 The Middle East was both the birthplace of astronomy and the center for its development during the medieval period, and this volume offers a fascinating insight into Arabic advances in astronomy and their profound influence on science in the rest of the world. 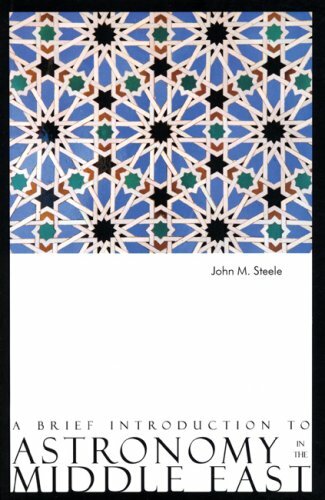 This is the first of two titles published to launch a new series offering insight into Arabic advances in science and culture. Aimed at the general reader, the titles are illustrated and contain glossaries, indices, and suggestions for further reading. John M. Steele is a Royal Society University Research Fellow at the University of Durham. 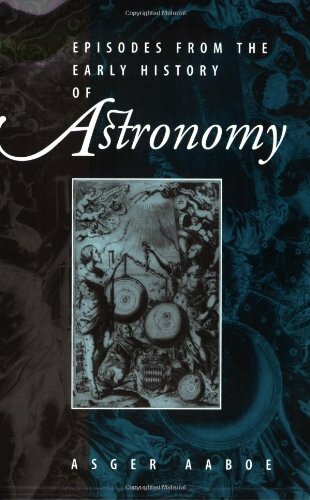 Anyone interested in the Ancient Egyptians, astronomy, astrology and mythology will love this book. It is a fascinating read! When volleying back and forth in the specifically designed debate of the sociological value of Afrocentrism vs. Ye Olde Greco-Roman Classicism and traditional Egyptology, it is classic books like these that are purposely ignored by the establishment. This book, and Dupuis' LES ORIGINE DES TOUT LES CULTES (The Origin of All Cults) are two of the most cited books by the rogue scholar Martin Bernal (author of the contraversial BLACK ATHENA: THE AFROASIATIC ROOTS OF CLASSICAL CIVILIZATION) that his detractors, such as Mary Lefkowtiz (NOT OUT OF AFRICA; BLACK ATHENA REVISITED) puposely never mention in their diatribes against him. Lockyer, the 19th century English mathematician and astronomer (not historian or literary scholar-- the source of most of the school of Classicism), did in his time the unthinkable for a scholar in a field that gradually depended upon scholarship devolved into non-scientific dogma: he came up with a theory about the intellectual, scientific and spiritual life of a pre-Hellenic culture in north Africa that went completely against the accepted truisms of common Egyptological opinion... and then proved it to be right. Under no uncertain terms, J. Norman Lockyer--even within the context of the prejudices of his time--completely revolutionized how a north African civilization, whose way of life predates the scientific, mathematical and cultural re-discoveries of the Greeks by thousands of years could be perceived. He did it so well that people are still ignoring it. Ancient Egypt is shown in THE DAWN OF ASTRONOMY to be a civilization based on a philosophical foundation that made cutting edge science, advanced mathematics and esoteric religion one. Pythagorean and Euclidean geometry; the Fibonacci series; the golden section; Pi; the astronomical phenomenon known as the Precession of the Equinoxes (named by the ancient Greeks the "Socratic Year" some millenia later); the exact length of the solar year, within less than fifteen minutes; the foundational concepts and mathematical formulae of geodesy.... It is all not just written within ancient Egyptian writings, but exemplified in the architecture of every sacred temple built in Egypt from before the Pharonic period (3100 B.C.) on through the Pyramid Age and onward past the Valley of the Kings--millenia before the birth of Pythagoras, Euclid or the entirety of Greece as a culture. Their entire culture, from language to architecture, danced to the rhythm of the stars. If so much of what we have seen and heard of this ancient North African culture could actually be reduced to the stuff of modern poetry and superstition (with the mystery of the Pyramids being a beautiful anomaly) as it has been consistently done since Lockyer's time by many (both in and out of the Afrocentric and Classicist/Egyptological schools), it would still be considered an extraordinarily impressive culture. 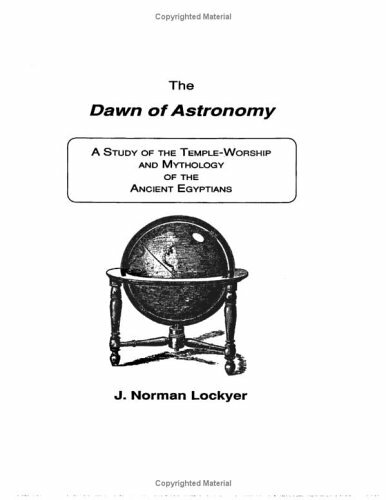 But Lockyer, with painstaking research and enough evidence to fill a city's worth of museums and universities, shows how the rhythm of both the known astronomical universe and the corresponding cycles of nature lay at the center of Egyptian religion and daily life; high science meets high spirit. As much as many Classicists would swear we are still living in Plato or Caesar's world intellectually or culturally speaking, the staggering influence on Rome that Egypt was alone, as shown by Lockyer's explanation of the astronomical basis for their religious architecture and that fact's cultural implications (and how both of those influenced the scientists and architects of Greece and Rome from that point on), shows us how much of an *Egyptian world* we still are living in. 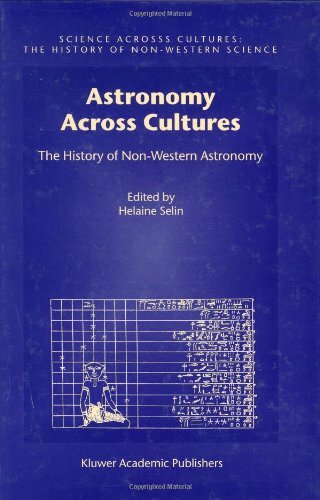 Anyone with a passing interest in Egyptology or Astronomy will absolutely love this book. Anyone fascinated by comparitive religions or the origins of astrolgy will be enthralled even moreso. And to anyone prepared to sheepishly quote neo-conservative dogma masquerading as Classicism and simply look for new evidence to boost a socio-political perspective designed to invalidate paradigm-shifting discoveries, I suggest the following: read this in tandem with THE SECRET ARCHITECTURE OF OUR NATION'S CAPITAL: THE MASONS AND THE BUILDING OF WASHINGTON, D.C., by David Ovason. And then beware Dorothy: once you read this you won't be in Kansas anymore. 11. 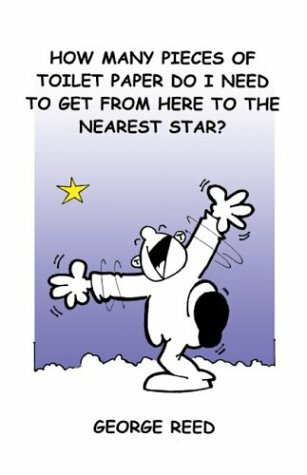 How Many Pieces of Toilet Paper Do I Need to Get from Here to the Nearest Star? Try it... you'll like it! This book - along with it's companion Moon Launch! are the definite account of the mammoth undertaking that was the establishment of Kennedy Space Centre in the 1960's. Everything about KSC and it's environs is on an epic scale, and these scholarly but very readable works bring to life the day to day management decisions, tensions, inter-center conflicts and eventual unanimity that was a hallmark of NASA in it's greatest era of expansion. This book, along with it's "other half", "Moon Launch" (the two books are a set, one being the coninuation of the other, although this fact is not obvious when reading the books' descriptions) tell the story of the Apollo moon program (of which I was a part) in a very unique way -- from it's beginnings, through the tough design and decision-making stages, to it's failures and sucesses. If you lived in the Cape Canaveral area during the late 60's and early 70's, or if you worked for NASA or one of it's contractors during that time, you will find plenty of details in these books to bring back memories that you might have lost forever. The emphasis on contractor roles, technical details, and historical details make these books different from any others I've ever seen about the Apollo program. You'll learn, for example, how and why the VAB was built the way it was built, how the decision to use a mobile launcher and crawler was based on a similar machine used in Kentucky to mine coal, and how much of the technology required for the program had to be invented, developed, and tested "on the fly.". After reading the book, you'll be amazed that we put a man (actually several men on several missions) on the moon in such a short time. I have been interested in NASA and the Moon Program in particular and have built a small library of astronaut biographies, mission control biographies and a few chronicles of engineering of the vehicles. This book is interesting that it covers a different topic - the Kennedy Space Center. It is written as a history and does feel a little bit "official" in parts with details of contracts that probably most don't care too much about. I think it would have been great if the book had been edited down to about half of its 320 page size. It seems that today, when a space shuttle is launched, or a rerun of an Apollo Saturn V is launched, the Kennedy Space Center launch complex construction achievement is taken for granted.The media today skips the history of developing the launch complex. This book chronicles the history of KSC, and includes histories of cost overruns, labor problems, design problems, and even political battles. Many people who grew up during the Apollo era can recall the newspaper stories, however, if you were too young to have read these stories in the 1960's, this book is a great summary. On February 1st 2003, one of the worst and most public disasters ever witnessed in the human space programme unfolded with horrifying suddenness in the skies above north central Texas. The Space Shuttle Columbia – the world’s first truly reusable manned spacecraft – was lost during her return to Earth, along with a crew of seven. It was an event that, after the loss of Space Shuttle Challenger during a launch 17 years before, the world had hoped it would never see again. 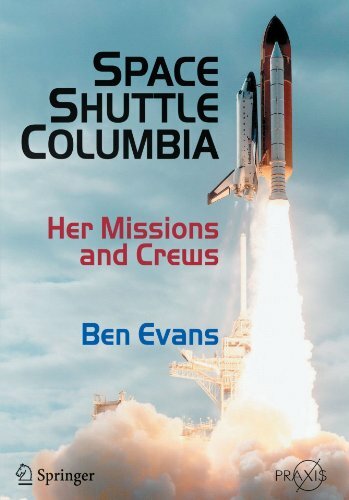 This book details each of Columbia’s 28 missions in turn, as told by scientists and researchers who developed and supported her many payloads, by the engineers who worked on her and by the astronauts who flew her. In doing so, it is intended to provide a fitting tribute to this most remarkable flying machine and those who perished on her last mission. If you want a definitive summary of the missions, crew and experiments undertaken by Columbia, this is a good reference to have. The trouble is that, after describing the excitement of the first flight, and the other milestones, it becomes a long list of one mission after the other. I doubt that the book could have ended up any other way, but it's not necessarily interesting reading after a while. What's also surprising to this reviewer is that the choice of photographs seems restricted. Many crews get their standard group shot floating in one of the shuttle's equipment bays or in Spacelab, but once again they are essentially the same picture. It may will be that the options available to the photographers in the confines of the spacecraft are restricted. What do work well are the opening chapters, particularly the context of John Young's enthusiasm for the announcement of the shuttle programme, and the closing chapters on Columbia's final mission and the subsequent investigation. In these, there are poignant descriptions that I've not read elsewhere, that bring home the enormity of what happened. To imagine being at KSC, awaiting its return, and slowly to realize that the sonic boom is missing, that the speck on the horizon in missing, and that the clock has passed the touch-down time, is ably supported by the narrative. To this reviewer, the book also brings home the sheer difficulty and dangers of regularly launching this spacecraft - something that we forget at our peril - and the successes that NASA and the United States have had in this 25-year programme. Having all this information, presumably availailable in each missions report, in one volume is useful. Thomas Kelly was refreshingly frank in his telling of the development and deployment of the Apollo Lunar Module. You have to wonder at times how NASA and the contractors pulled it off, given the immense complexity, the unknowns and the inability to test in real environments. Without the huge expense and serious commitment to the target date, Apollo could easily have slid to the right many times, if not abandoned. Once the contract was won, the majority of the book actually concerns problem resolution and management, with technical information secondary. I had not realized how early-on the LM's basic design was in place, years before the first test flight. Of course, it went through relentless modifications, from tweaks to save some ounces to major items, such as eliminating a need for a second docking hatch and switching power sources. There was less about how the LM worked, with the computer subsystem a key example, than I expected. Or take the life support and consumables subsystems, which didn't get much coverage until the shining moment for the LM team on Apollo 13. Kelly wisely kept the Apollo 13 story brief and focused on the LM's aspects, as it's well-tread ground elsewhere, and this book came out well after Lovell's and the movie. Kelly tried to balance the technical and the project management sides of the story, with perhaps more about Grumman and NASA leadership than some readers want. However, given that this is a candidate for the definitive story of the LM, Kelly had to review those aspects or they could easily be lost. Many second- and third-tier names also get tips of the hat from Kelly. Despite having read many Apollo books, I had forgotten or did not know about a few of the problems on the actual missions that Kelly mentions. They all dodged failures. For example, Apollo 16 might not have landed had the LM team back home not solved an issue with fuel tank pressure. This repeated ability to find quick answers under brutal time pressure reinforces the feeling that the teams were exceptionally talented and dedicated and knew their systems to the finest detail. Read this and watch the LM episode (#5) of "From the Earth to the Moon". Kelly is a key figure in the show, presented well. Hooray! !What a wonderful book. But of course it is-it is part of the Air & Space Museum of the Smithsonian. It is enjoyable and such an interesting read. I am so glad it is part of our spaceflight history and is part of the Smithsonian. So many books about Apollo were not written by the actual engineers/employees who designed and built the hardware, the structures and the Saturn V.
Some think that Apollo was easy-not so. Many of us worried about the equipment and spacecraft. Would our astronauts be safe? You won't regret buying this book. Sara Howard, Author of "Something Funny Happened on the Way to the Moon" and "The Greatest Explosions in the Universe." 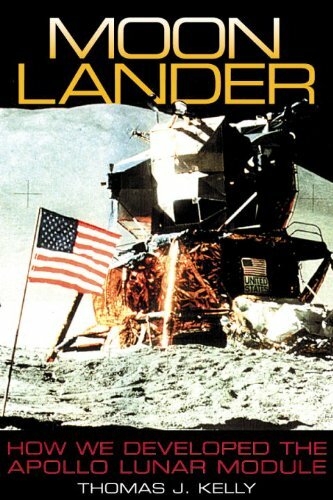 Tom Kelly's testimony about the construction of the lunar module shows us the exact measure of the sacrifice he and his staff did, together with other vendors, enabling the accomplishment of Keneddy's challenge. Do you want to learn something really good about management? He tells us about a more than gigantic task, a never before runproject. Do you think you know enough about quality management? He teach us how they dealt with the balancebetween deadlines and quality. Do you think your concern about security is enough on your projects?Learn why you're wrong. Mr. Supplier, is it hard the negotiation between you and your client? Problems with budget? See some hints and tips you'd never thought about, mainly if the project is based on not detailed nor completely defined contract specifications and prices. All of this permeated with change dynamics hard to be realized in it's full extent by both contractor and supplier. Weekends totally dedicated to the work, and families also with his role to play, so that emotional stability could be ensured and the project would not be affected. And everything openly followed and criticized around the world, with press wide eyes opened. This history, told by the responsible for LM's building, is quite poignant. Even those who do not have technical basis are moved by Kelly's storytelling. We feel the pressure and anxiety as we were the project manager. Often, even knowing the "end of history", we are in suspense, and suddenly memory is cleared temporarily, so we find ourselves hoping for things going all OK.
Technical knowledge is important but not fundamental to read the book. Some basic knowledge of the Apollo project and the LM, available in most basic sources of information, allow the reader to read this book with pleasure. It is important for anyone who is interested or wants to specialize in project management. And for those who like the mannedspace exploration, of course. The final product was more than 100% good and perfect. Are all your projects like this, so far? Better than the book, only the job done by thousands of people leaded by Mr. Kelly, building the successfull LM. Software developers need to read this book! If you are a casual fan of the Apollo era and enjoy books covering the basic history of the program, this book is probably not for you. It is highly technical and largely covers the engineering and project management of Apollo. However, if you want to learn how complexity can be mastered and lead to undeniable success, how brilliant minds project managed their way tot he moon, then this book is for you. It's funny, but we think we are so advanced these days, especially with technology. However, I would argue that 90% of the software we build today wouldn't make the first pass of Apollo era quality and testing standards. From the web to healthcare, all of us can learn from people like Mr. Kelly. Read this book and you will see what I mean. Tom Kelly comes across as a very patient man and very understated. This man played a key role in one of the most amazing engineering projects of all time - a vehicle that not only could land on the moon, but take off from it as well. The first true space craft (designed purely for space - never in Earth or in the atmosphere). There is a reason they call it rocket science and this is the ultimate. Some people called the LEM ugly. I never understood that, I always thought it was amazing. This book only reinforced this opinion. Nearly half of this book is devoted to discussing the management systems that produced the LM.Which is fine; certainly it's well-known that the management systems developed for Apollo played a huge part in the success of the program, but I got this book hoping to learn about the nuts and bolts of the LM and its construction.There are only a handful of illustrations and little technical info about its operation. Mixing in elements of pop culture, Dierikx provides a chronological history of the evolution of air travel. He covers the significant challenges and developments in air transportation for a specific period, starting with how and why aviation came to play an important role in international politics and economic relations.He follows with an examination of how improvements in technology influenced existing concepts of distance, created new travel patterns, and what effect the growth in numbers of passenger and cargo had on air transportation.Finally, Dierikx looks at how airlines have become increasingly detached from national interests and state control, concluding with an overview of the current state of air travel, and a description of the role air transportation played in the creation of a global society. At the beginning of the twenty-first century, it is difficult to imagine our world without aircraft. Airplanes are everywhere, and rapid air transport has become one of the necessities of our time. Yet one of the peculiarities of powered flight is that it has stayed in the public focus for over a century. 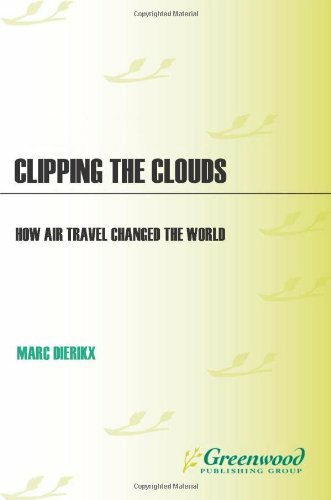 Clipping the Clouds looks at the history of aviation in a challenging new way, covering not just the technology, but the way aviation has interacted with society since its very beginnings. Mixing in pop culture—each chapter opens and closes with an excerpt from a movie that depicts elements of air transport illustrating the chapter's theme—Dierikx provides a chronological history of the evolution of air travel since 1919. He covers the significant challenges and developments in air transportation for each of four chronological periods, starting with how and why aviation came to play an important role in international politics and economic relations. He follows with an examination of how improvements in technology influenced existing concepts of distance, created new travel patterns, and what effect the growth in numbers of passenger and cargo had on air transportation. Finally, Dierikx looks at how airlines have become increasingly detached from national interests and state control, concluding with an overview of the current state of air travel and a description of the role air transportation has played in the creation of a global society. 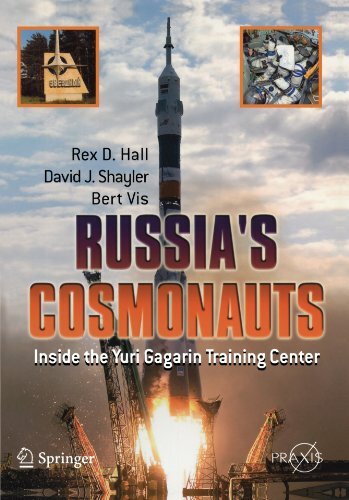 Offers a unique and original discussion on how Russia prepares its cosmonauts for spaceflight. Provides an insight to the role of cosmonauts in the global space programme of the future. The detailed insights in this landmark description of Russia's manned space team provide plenty of hints about just how hard it was for the authors to extract all of this information over many years. The three authors and their associates ran an international free-lance 'research team' that crumb by crumb, rumor by rumor, fact by fact assembled a coherent story BEHIND the official stories of 'space heroes'. Instead, we have something infinitely better -- cosmonauts (and would-be cosmonauts) as genuine human beings, struggling with challenges never before faced in human history (and with some challenges as old as humanity), trusting these foreign visitors enough to open their hearts (and their scrapbooks) to them. Some tales are glorious, some tragic, some unfair, some comic. 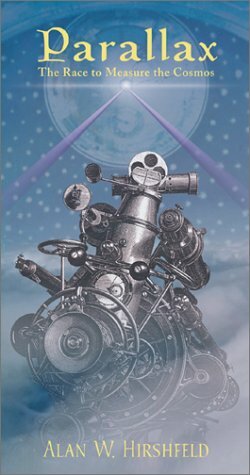 But thanks to this book, and the people who created it, the world has access to the human face of 'manned space flight' in Russia. AND -- by the way, many Westerners will be using this book not merely for idle curiosity, or the 'thrill of the fact hunt', but for actual preparation to follow in the footsteps charted here, and to go to 'Star City', to take part in cosmonaut training, and even -- some of you readers -- actually fly into space alongside Russian cosmonauts. This book will give an enormous 'leg up' on that process -- so buy it now, or buy it and give it to a friend considering such a project. And always keep in mind that new information is being gathered, evaluated, and issued by these and other 'space sleuths'. Until the publication of this book, there could have been few people in the world who were as well-informed on the Soviet/Russian space programme and their headquarters in Star City as the three authors of this superb book: and that includes many of the Russian participants of the programme themselves. Between the three of them, authors Hall, Vis and Shayler have visited Star City almost thirty times stretching back to the very first days of Glasnost. During their visits, the authors were given access to parts of Star City previously unseen by outsiders and they befriended many cosmonauts and key space programme workers. This book is the result of these friendships, their unparalleled access and their diligent research. Hall, Vis and Shayler are long-time observors of the Soviet/Russian space programme and have written and contributed to many of the key books published on the subject over the past decade as well as numerous magazine articles. For the first time ever, this book gathers much of their research and efforts into one volume. For anyone interested in the Russian space programme, this is the definitive overview. The level of detail is staggering, yet it is presented in a highly-readable and understandable manner. The book is copiously illustrated with dozens of photographs, the majority of which are published for the first time and many of which show places, events or individuals never before seen. The book contains tables of information of interest to novice and veteran space programme observors alike, and is filled with fascinating anecdotes and footnotes never before reported. This book is a must-have for anyone interested in the Soviet/Russian space programme and can not be recommended highly enough! This book is probably the best book ever written on the subject. One can feel the history of Soviet spaceflight almost as walking in Star City, through methodically researched account of the cosmonaut training center. First hand experience and rich archival materials that was available to the author makes this volume the definitive book for years to come. The transition from Soviet regime to Russian cooperation with the United States is dramatically depicted, and provides important insights for future space programs, to be conducted by both space powers. Anyone who wants to learn how the Soviet mastered the ultimate frontier, with triumphant spirit of man, as well as high end technologies, will find a lot of informative and new information in this remarkable account of Soviet spaceflight. One of the great changes that has come about since the collapse of the Soviet Union is access to formerly secretfacilities and operations. For this book the Russians allowed unprecedented access to the Yuri Gagarin Cosmonaut Training Center (TsPK in Russia). Here is a description of everything from the selection process, through training, equipment, and the ground support infrastructure even down to tennis courts. Surprising to see, is the photograph of the offices assigned to NASA as part of the international cooperation now in effect. To anyone who has followed the United States space program, this book provides a view into an aspect of the development of space that hasn't been seen before. In many cases the Russian efforts were similar to those of the United States. In other cases, there were decided differences. Perhaps in the future, the combined history of the developmnent of space will be documented, but not yet. This is the story of one little known side. The National Advisory Committee for Aeronautics--forerunner of today'sNASA--emerged in 1915, when airplanes were curiosities made of wood and canvas and heldtogether with yards of baling wire. At the time an unusual example of government intrusion (andforesight, given the importance of aviation to national military concerns), the committee oversawthe development of wind tunnels, metal fabrication, propeller design, and powerful newhigh-speed aircraft during the 1920s and '30s. In this richly illustrated account, acclaimedhistorian of aviation Roger E. Bilstein combines the story of NACA and NASA to provide afresh look at the agencies, the problems they faced, and the hard work as well as inventive geniusof the men and women who found the solutions. 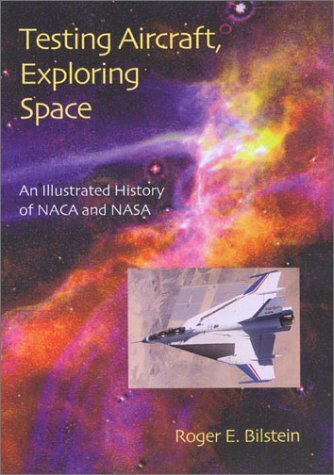 This is a very interesting book that concisely details the history of NACA and NASA. It doesn't get too deep into the technical or political sides, but tries to show a balanced view of all the important aspects of these organizations. My only complaint is regarding the pictures. One picture is used twice to represent two distinctly different aircraft, and a couple photographs appear very pixelated, as if they were taken from the internet and enlarged too much. This is a quite successful attempt to synthesize the history of the sole federal organization created to undertake research and development (R&D) in flight technology. The National Advisory Committee for Aeronautics (NACA) was established in 1915 in response to the rapid advancement in aeronautical technology in Europe and the need in the United States to duplicate and surpass that level of effort. The NACA was transformed into the National Aeronautics and Space Administration 1958 in the aftermath of the Sputnik crisis, and given a mandate to undertake R&D in space technology in addition to its aeronautics component. As a synthesis this work brings together what is known about the history of these organizations. It does not seek to advance basic knowledge but instead to ensure that what is presently known is captured in a single volume. In successfully doing so, Bilstein's work will become the standard work on the subject. Roger Bilstein is one of the very best historians of air and space technology working today. He also has the ability to prepare exceptionally comprehensive, uniquely useful syntheses. His books--"Flight in America: From the Wrights to the Astronauts" (Johns Hopkins University Press, 1984, and several subsequent editions) and "The American Aerospace Industry: From Workshop to Global Enterprise" (Twayne Publishers, 1996)--are also standard introductory works on their subjects. Both books are the place to start with in any investigation of air and space activities. It is not easy to write satisfactory syntheses and Bilstein has a knack for it, as do no others working in aerospace historians. He demonstrates it well here. "Testing Aircraft/Exploring Space" is the latest synthesis from Bilstein, and it bears all of the outstanding qualities of his earlier efforts mentioned above. He ranges broadly across his subject, exploring the history of the NACA and NASA since 1915. It is not an institutional history, however, emphasizing the research and development activities of these federal organizations rather the bureaucracy and the minutia of politics. It is a terrific overview of a complex and important subject appearing at the time of the celebration of a century of flight since the Wright brothers. From the first gunpowder up through the H-bomb, this is an entertaining and informative look at the development and use of explosives throughout history. Laying the emphasis on the lives of the people involved, on the diverse uses of explosives, and on their social and historical impact, it relates a story of remarkable international human endeavor. Many of those involved—including Roger Bacon, Guy Fawkes, Alfred Nobel, and Robert Oppenheimer—are famed worldwide, while others—such as C.F. Schonbein, William Bickford, Sir Frederick Abel, and Charles E. Munroe—played crucial roles behind the scenes. Alongside their achievements, the uses and impact of explosives in both war and terrorism as well as in civil engineering, quarrying, mining, demolition, fireworks manufacture, shooting for sport are all detailed. What an excellent book for chemists and non chemists alike. Written in a well-done 'British' fashion, the book contains language that flows well and keeps the reader interested. As for the content, the book is an indispensable document of facts, biographies, and stories behind the development of all types of explosives as we know of them today. This is accomplished by tracking the events caused and experienced by the inventors and scientists of the time. There are a few mistakes here and there, some dealing with basic physics, but more along the lines of a first draft error that appears accidental. Overall? I loved this book, both as a chemist and an 'energetic person'. A bigger difference than between this book and "History of Greek fire and gunpowder" can hardly be imagined. "The big bang" is written like a history book and therefore much easier to read thatprofessor Partington's book. It describes the history of all explosives,from black powder to the H-bomb. It is surprisingly complete. The booktreats, among others, black powder, smokelesspowder, cordite, ballistite,nitroglycerin, dynamite, gun cotton, TNT, ANFO, picric acid, safety fuse,detonators, the A- bomb and the H-bomb. It is clearly an historicalaccount, not a recipe book. The writer not only describes the technical-and chemical aspects of explosives but also tells the story of the persons,production methods and companies that have played a role. Also he givesinformation on the application of explosives in military use, mining,demolitionand quarrying and on all the problems that have occurred in thecourse of time. Even the "gunpowder machine" (predecessor to thesteam engine) is mentioned. Obviously the writer is from Britain, whichshows in his discussion of the patent controversy between Alfred Nobel andthe British government concerning the production of Cordite. Generally,however, he takes a very objective position. The writer has also placed thedevelopment of explosives in the broader context of social development anda number of interesting facts are mentioned. It seems that the publicationof the Balfour declaration (which led to the founding of the state ofIsrael) was very much due to the fact that it was a Jewish chemic (ChaimWeizmann, the later president of Israel) who found a solution to theshortage of acetone in England during the First World War, thus helping thewar effort. Acetone is essential for the production of Cordite, the mainpropellant for the British guns.Also controversial characters like FritzHaber and Robert Oppenheimer feature in this book besides large industrieslike Dupont de Nemours and Kynoch.The development of explosives is notonly important to the war industry and mining but also plays a vital rolein the realization of important, prestigious public works like canals,tunnels and railroads. The explosives industry stands at the basis of muchof the modern chemical industry.All in all "The big bang" is anexcellent book to learn the history of this very specialized and sometimescontroversial subject. 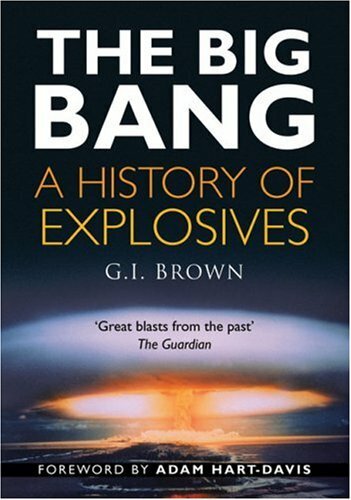 THE BIG BANG a History of Explosives was written by George I Brown, and not by Adam Hart-Davis. Adam Hart-Davis is an exceptionally fine presenter, with the BBC. He has a programme called LOCAL HEROES, and is an exprofessor of a university, in the UK(I'm sorry I can't remember which one).Adam Hart-Davis writes a foreword of one page long. Mr. George Brown wrotethe other 256 pages, and a wonderful piece of work he wrote. If you want tokill people, then your looking @ the wrong book, move along. Other thanthat the Title says it all really. The book is a thematic history of explosives.The largest coverage is for gun powder detailing the history of its use in guns, bombs, rockets and mining.Then the further advances of explosives are covered up to andincluding nuclear explosives. The author presents a technical workeasily understood by this non-chemist.He also gives the very humanbackground of the various inventors and users of the explosives. Whatwas most interesting to me is the fact that many of our most famouschemical producing companies started with the production of explosives. Also interesting was the history of the development of safe explosivesboth for war and for mining purposes.